In SharePoint designer 2013 workflow, I'm trying to get the TaskID by running "Assign a task" and a loop in parallel block as per this link. Task is getting created but I can get Task ID only when task ends not when pending.. How to get the TaskID while task is pending ? please advise. Calling a 2010 workflow within 2013 workflow and creating tasks using that. In 2010 W/F you can then update a column in the same list with the task id. 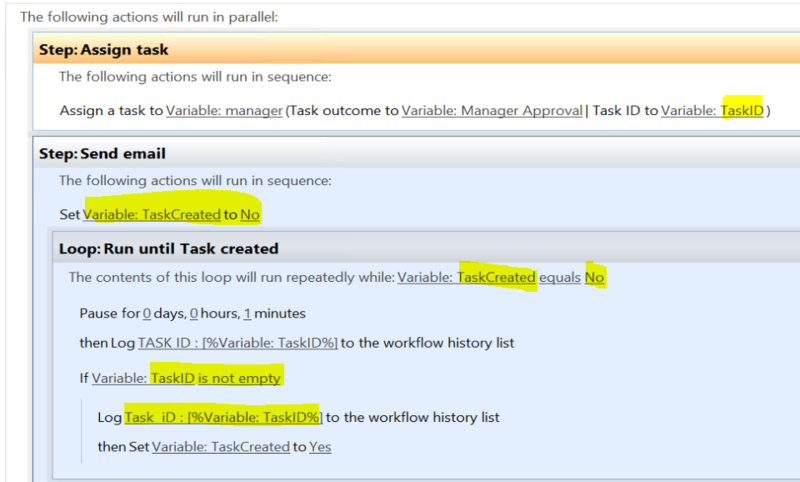 You can then pick the task id of 2010 W/F task from the list column in the 2013 workflow. Not the answer you're looking for? Browse other questions tagged sharepoint-designer workflow email or ask your own question.